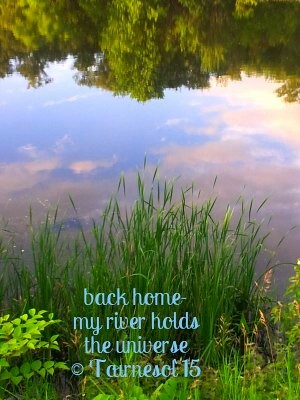 I seem to be truly enjoying this new form of sets of haiku created by Chévrefeuille here at Carpe Diem Haiku Kai called the Troiku. 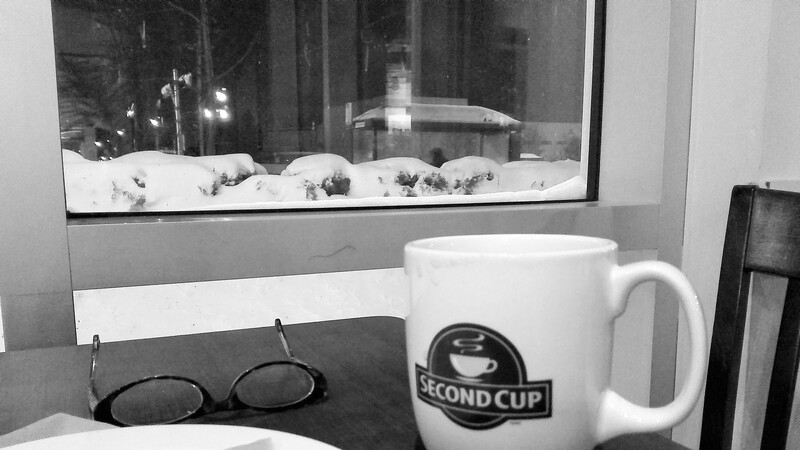 As I sit here at a Café in the warmth looking out at the snow, I hesitate to leave. It is cold and I have to take a bus to get home and I also like the atmosphere here. It is so pleasant writing in this ambiance, hearing the saxophone blaring in the background with uninterrupted jazz melodies. I am a sucker for saxophones and base…it isn`t live music but the sound system is a good quality to drown the chatter of the patrons so I feel the company of jazz musicians and my thoughts percolating before my fingers dance on my keyboard. Going to the farmers’ market as a young child was an adventure. My grandmother would take me and I enjoyed the social aspect of it. Farmers chatting with GrandMaman, so many knew her for she was a midwife and probably assisted many births in those farm houses. It was also a place appropriate to bargain at the local market and sometimes just listening to some of the bantering made it fun to be here with her. It’s sort of cool tagging along someone so well known, respected and loved. Although we lived in town she still knew her fresh vegetables seeing as she had several gardens, flora and vegetables and she knew how to choose fresh meat. She would even test fish by taking a tiny piece raw and taste it to see if it was really fresh; I guess it is no surprise that I learned to eat a tiny portion of fresh extra-lean grown steak raw sprinkled with salt while she was making hamburgers. You have to remember that in those days we went to the butcher and saw him grind the fresh steak. This prompt made me think of the tall golden grass in the autumn. I wonder if I could have collected some and braided it, somewhat like our autumn decorations at Thanksgiving with dried corn cobs and long braided husks. 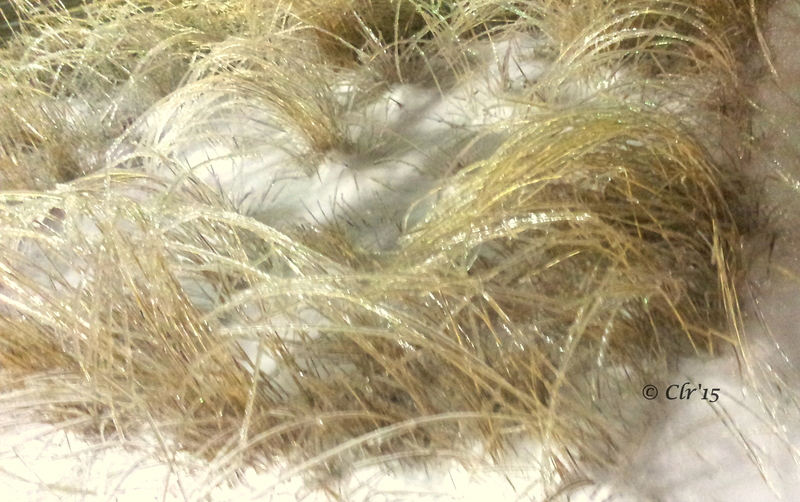 Walking in the freezing yesterday, I noticed the long golden grass had frozen as if promises for Spring were frozen in time during the cold winter months. Perhaps winter is a time to percolate ideas and spring is to put some of these into action and fruition. 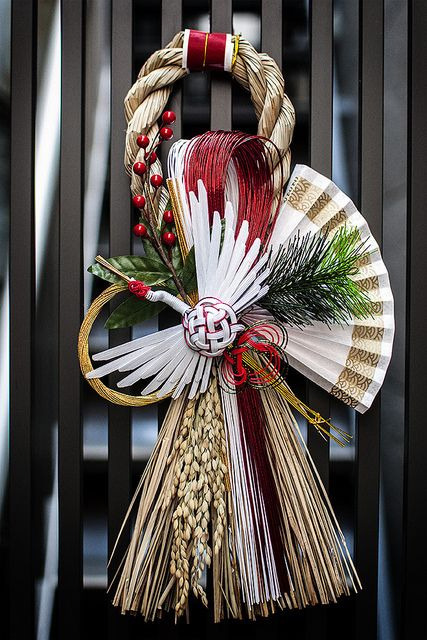 As we begin a new year, the Japanese culture adorns their front doors with sacred rope to ward off evil spirits…somewhat like protecting the hibernation of treasured thoughts, hopes and prayers. It’s been a challenging year personally and professionally. I can’t hide behind a cloud and pretend the New Year changed that. However a new year offers opportunities to continue processing areas that need attention somewhat like housekeeping. I need to look at what I want to keep among all the dusty clutter before I can find balance in my life. That is the longest part. Think about when you are clearing out a closet and all the things you find at the bottom way at the back. You take out a box for example, that is covered with dust; you open it and look at the contents. It brings you back many years to a moment in time. You feel the emotions good or bad; you may weep a little, you may get angry and even kick that box around…again the feelings resurface and another layer is removed. 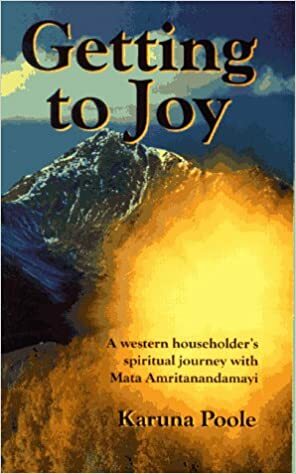 You may feel you are done with this and trash the box or you may dust it off, put it back securely at the back of your closet for another year or so. There is no right or wrong way…but your own way. There are good things I want to topple over to this year. New and old friends I have encountered near and far, the relationship I have with my children and grandchildren is my duvet for the cold months and stroke of soft silk in the warmer months; my poetry and the past six or seven months training in Japanese poetry at Carpe Diem with our host and mentor/master Chévrefeuille, his followers who inspire me and the amazing WP community that inspire and support me. And my amazing colleagues who are the strength and foundation that serve youths across this country and allow me to love my work.